Sidney Patrick Crosby ONS (born August 7, 1987) is a Canadian professional ice hockey player and captain of the Pittsburgh Penguins of the National Hockey League (NHL). 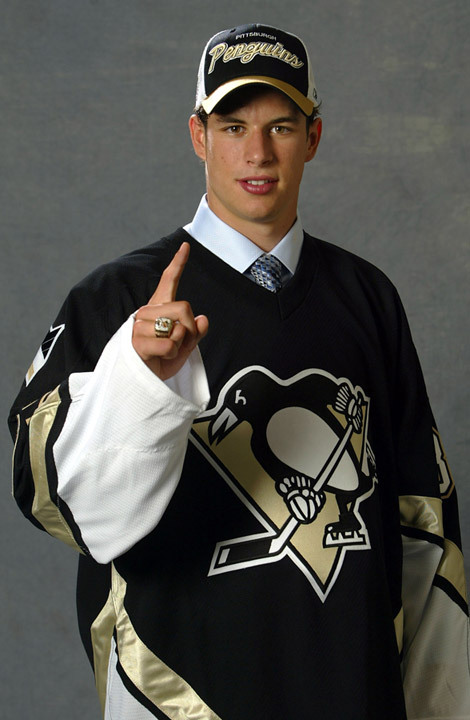 Crosby was drafted by the Penguins out of the Quebec Major Junior Hockey League (QMJHL) first overall after earning back-to-back CHL Player of the Year awards and leading his club to a berth in the 2005 Memorial Cup during his two-year major junior career with the Rimouski Océanic. 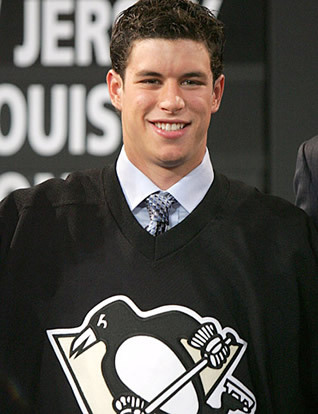 Nicknamed "The Next One", he was one of the most highly regarded draft picks in hockey history, leading many to refer to the 2005 Draft Lottery as the "Sidney Crosby Sweepstakes". In his first NHL season, Crosby finished sixth in scoring with 102 points (39 goals, 63 assists). 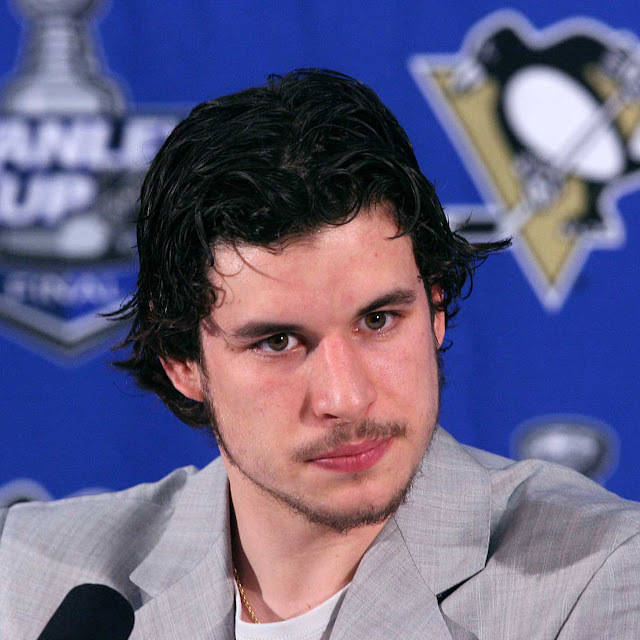 By his second season, he led the NHL with 120 points (36 goals, 84 assists) to capture the Art Ross Trophy, becoming the youngest player and the only teenager to win a scoring title in any major North American sports league.That same season, Crosby won the Hart Memorial Trophy as the most valuable player as determined by the Professional Hockey Writers Association, and the Lester B. Pearson Award as the most valuable player as determined by the NHL Players Association. He is the seventh player in NHL history to have earned all three awards.After losing to the Detroit Red Wings in the 2008 Stanley Cup Finals, Crosby won his first Stanley Cup in 2009, becoming the youngest captain in NHL history to win the championship.In the 2009–2010 season, Crosby finished 2nd in NHL scoring with 109 points (51 goals, 58 assists). His 51 goals were a new career high and tied him with Steven Stamkos for the league lead in goals, thus earning him his first career Rocket Richard Trophy. At the Annual Awards show, Crosby took home his first Mark Messier Leadership Award. Internationally, Crosby has represented Team Canada in two World Junior Championships, winning silver in 2004 and gold in 2005. He competed for Team Canada at the 2006 IIHF World Championship and led the tournament in scoring. In the 2010 Winter Olympics, Crosby scored the game-winning goal against the United States to win the gold medal for Canada, 3–2 in overtime.